The rock struck the garden of the Helliwell family with a “big boom” & shook their home this morning. 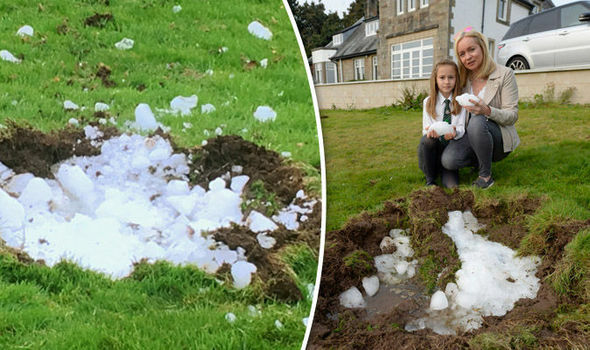 The impact caused a crater measuring 4ft 7in by 3ft 11in in the middle of their lawn w/bits of ice scattered across the grass. There has been no obvious explanation for the freak incident but experts suspect the ice may have formed on the body of a passing aircraft. It is usually assumed that ice falling from the sky is aviation related but ice falls from aircraft are considered to be relatively rare. In comparison to the 2.5 million flights a year in UK airspace, approximately 25 ice falls per year are reported to the Civil Aviation Authority (CAA). Some of these instances may occur bc ice which has naturally formed on an aircraft at higher altitudes breaks off as it descends into warmer air. Experts suspect the ice may have formed on the body of a passing aircraft. 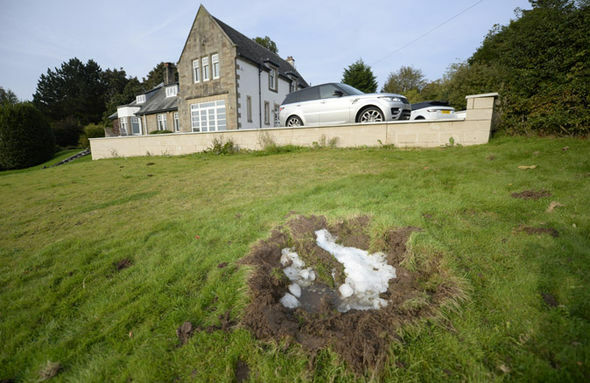 But there have been reports of falling chunks of ice which date back to before the existence of aircraft. Research into the phenomena is ongoing by scientists across the world but is controversial.